Final Fantasy Marathon Extension Information! There are a lot of reasons we had to make the change this year, and to make up for it, we expanded our marathon slate to FOUR this year (stay tuned for information on our October and December marathons!). Still, though, five days just isn’t enough time for us. So we want to go an extra 24 hours. To do that, though, we’re going to need your help! We’re super excited to announce a potential 24-hour extension for the Final Fantasy Marathon, meaning that it will end on Thursday, July 20 at 6PM CT instead of Wednesday, July 19 at 6PM CT as scheduled. For that to happen, though, we’re going to be setting up a donation goal. Once the event starts, if you guys can reach a total of $30,000 in donations to St. Jude by the current end-of-marathon time (which, again, is Wednesday, July 19 at 6PM CT), then we will continue the marathon for an entire extra day! We’ll be reminding viewers of this extension throughout the marathon and beforehand, but get those donations ready! As always, 100% of donations go directly to St. Jude Children’s Research Hospital! Join us July 14 at 6PM CT at http://twitch.tv/thespeedgamers for the start of TSG.TV’s Final Fantasy Marathon 2017: Pixels vs. Polygons, and let’s get this thing extended! During the marathon, the attendees will be split into two teams: Team Pixels and Team Polygons. Each person is represented by an avatar that displays their stats: attack and defense. Every time you donate to St. Jude, you can choose a marathon attendee that you would like to power up. 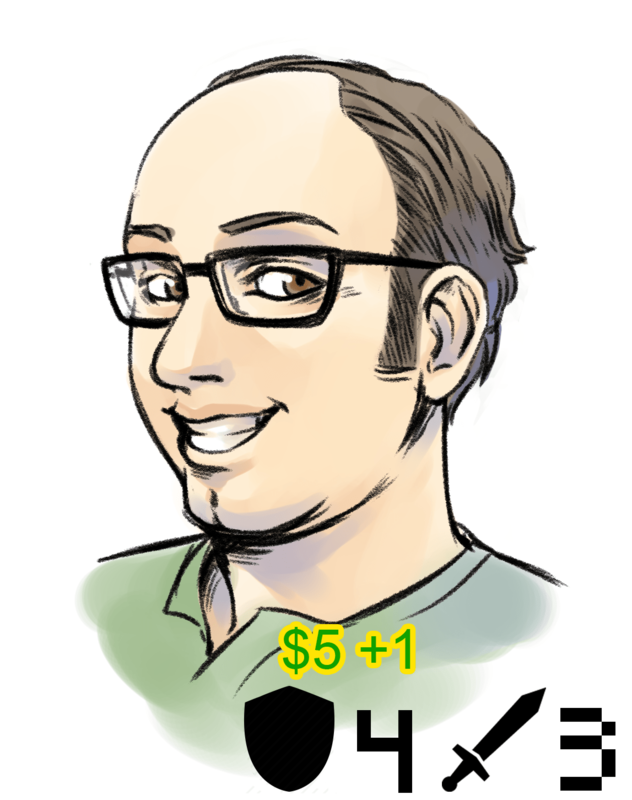 For every $5, an attendee will have their stats increased. Twice a day, the two teams will have 4 players from each side pitted against each other in battle. The battle will take the two sides’ stats into consideration when calculating a victor, with the winning team gaining a point for their side. At the end of the campaign and the marathon, one team will win out as the champion. We think this will be an entertaining and unique way to raise money for a great cause. As always, 100% of the donations go directly to St. Jude Children’s Research Hospital. We’d like to give an extra special thank you to Space Coyote and Untuxable for creating the Team Pixel and Team Polygon player avatars. For more information on the marathon, please visit the link below, and check out our YouTube at https://www.youtube.com/user/TheSpeedGamers. We look forward to seeing you on July 14th on http://twitch.tv/thespeedgamers! Final Fantasy Marathon for St. Jude – July 14-19, 2017 | New Teaser Video & Images! Now that we’re only a little over five weeks away from our 2017 Final Fantasy Marathon for St. Jude, we’re excited to release another teaser video for the event! Check out the brief video above, and be sure to share it around to get the word out about the event! Additionally, we’ve got three new teaser images for the marathon that are perfect for promoting the event! Check them out below, and download the full 1920×1080 files for yourself HERE! Our 2017 Final Fantasy Marathon for St. Jude will take place from July 14 through July 19 at http://twitch.tv/TheSpeedGamers! It begins at 6pm CDT on Friday, July 14, so mark your calendars! As always, all proceeds from the event will go directly to St. Jude Children’s Research Hospital, so make plans to join us in raising money for this great cause! We have more exciting plans to reveal over the next five weeks, so keep an eye on our Twitter and Facebook pages for all of the details! We’re extremely excited to announce that our Final Fantasy Marathon this summer will be raising money for St. Jude Children’s Research Hospital! St. Jude is leading the way the world understands, treats, and defeats childhood cancer and other life-threatening diseases, and they are one of the best organizations out there. We’ve worked with St. Jude many times over the past nine years, and we can’t wait to get to work raising money for them again! Be sure to tune into our 120-Hour Final Fantasy Marathon for St. Jude this July 14-19 at http://twitch.tv/thespeedgamers! The event kicks off at 6pm CST! We’ll have so much more to announce about the upcoming marathon very soon, so be sure to keep an eye here or on our social media pages at Twitter.com/TheSpeedGamers and Facebook.com/TheSpeedGamers! We’re also on Instagram now, so follow us there for more! Want more video content? Head over to our YouTube, and be sure to check out Team TSG on Twitch! April Podcast: April 9, 2017 at 7pm CST!! Our April Podcast will be this Sunday (April 9, 2017) at 7pm CST. It’ll be a live podcast, so you’ll be able to tune in on our Twitch page at http://Twitch.tv/TheSpeedGamers! If you miss it, it’ll be archived on Twitch as well as (a few days later) our YouTube page. For this podcast, we’ll be talking (mostly spoiler-free) about The Legend of Zelda: Breath of the Wild and Mass Effect Andromeda, as well as the Nintendo Switch and Microsoft’s Project Scorpio! This should be a fun one, so you don’t want to miss out! We’ll see you Sunday at 7pm! We’re counting down to our 2017 Final Fantasy Marathon for St. Jude on July 14 (less than 15 weeks from now! ), so we’re looking back at some of our favorite memories from TSG’s previous Final Fantasy Marathons! In this one, Apple reminds us of the time that the TSG Community came together to raise over $3,000 just to name a rat-faced character after Chase. Tune into our 2017 Final Fantasy Marathon for St. Jude Children’s Research Hospital July 14-19 at http://twitch.tv/TheSpeedGamers! As we get ready for our 2017 Final Fantasy Marathon for St. Jude on July 14, we’re looking back at some of our favorite memories from TSG’s previous Final Fantasy Marathons! In this one, Space Coyote talks about a moment when one of TSG’s own became a speedrunner for a brief, shining moment. Splatoon 2 Global Testfire Community Game Night: Friday, March 24, 2017 at 10pm CST! To celebrate the Global Testfire of Splatoon 2 on the Nintendo Switch, we’ll be holding a Community Game Night! This Friday, March 24, we’ll start streaming the event at 10pm CST on our Twitch page at http://twitch.tv/thespeedgamers! You’ll be able to join us for voice chat through our Discord at http://discord.gg/thespeedgamers, and we’ll all discuss our thoughts on the game afterward on Discord! This should be a super fun night of gaming for us all, and we can’t wait to try out Splatoon 2 together! We hope to see you there! Since this month is our nine year anniversary, we wanted to take a second and thank each and every one of you for all of the support that you’ve given us! When we started this group in 2008, we never anticipated what it would grow into, and all of our success is because of you. Thanks for the past nine years, and we can’t wait to see what the next nine have in store! We’ll see you July 14 for our Final Fantasy Marathon for St. Jude Children’s Research Hospital! Space Coyote’s Cover Art for Capcom’s Disney NES Re-Releases! Our very own (and very, very talented) Space Coyote got to do the cover art for Capcom’s upcoming re-release of their NES Disney games! The games will release April 18 on PC, Xbox One, and Playstation 4, and the bundle will include Chip ‘n Dale Rescue Rangers, Chip ‘n Dale Rescue Rangers 2, Darkwing Duck, DuckTales, DuckTales 2, and TaleSpin! Check out the trailer for the bundle below, and head over to Twitter to congratulate Space at @spacecoyotl! !